Today I’m thrilled to announce that Nexla is now live, in public beta! New data types emerging from IoT, connected cars, healthcare, e-commerce, travel and more are causing an influx of data at an exponential rate. That data, needed for sophisticated machine learning models, exists not only with companies themselves but also in thousands of public and private sources outside of the enterprise boundary. We have been lucky to work with companies like Instacart to solve the lengthy challenges associated with data operations. We want to help scale the DataOps process so that engineers can focus on other tasks, such as machine learning and advanced analytics. Our web-based SaaS platform has an easy-to-use interface that allows business users to set up data pipelines, transform data, and grant and revoke access to partners. The solution functions without relying on engineering teams, making the data engineer’s job easier by empowering other users to access the data they need. With this new round of funding, Nexla plans to grow its team in engineering, product management, sales, and customer success at its San Francisco Bay Area headquarters. To see current job openings, please visit http://careers.nexla.com . We are a passionate team built on the core values of empathy, curiosity, achieving excellence, intellectual honesty, and (most of the time) remembering to relax. This is just the beginning! 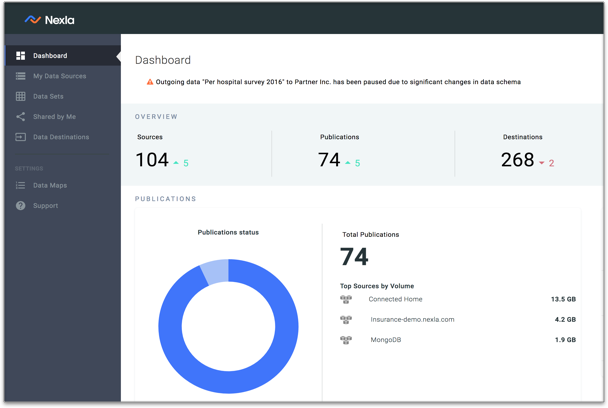 To learn more about how Nexla can help you streamline your DataOps, we’d love to give you a demo.